Setting aside a two Judge Bench judgment of the Supreme Court in the case of Surya Dev Rai vs. Ram Chander Rai and others, a Supreme Court bench comprising of Chief Justice H.L. Dattu, Justice A.K. Sikri and Justice A.K. Goel has ruled that judicial orders of civil court are not amenable to writ jurisdiction under Article 226 of the Constitution and that jurisdiction under Article 227 is distinct from jurisdiction from jurisdiction under Article 226. The Bench was hearing a matter placed before it by a Bench of two Judges, in order to consider the correctness of the law laid down by the Court in Surya Dev Rai vs. Ram Chander Rai and others that an order of civil court was amenable to writ jurisdiction under Article 226 of the Constitution of India. The Bench of two Judges had observed that the judgment in Surya Dev Rai did not correctly appreciate the ratio in the earlier Nine Judge judgment of the Apex Court in Naresh Shridhar Mirajkar and others vs. State of Maharashtra wherein the Court came to the conclusion that “Certiorari does not lie to quash the judgments of inferior courts of civil jurisdiction (para 63)”. Allowing a Writ Petition, Allahabad High Court had set aside an interim order of the civil Court, which was then appealed against, contending that the Writ under Article 226 was not maintainable against the order of the Civil Court. The respondent had contended that there was no reason to exclude the civil courts from the expression “any person or authority” in Article 226 of the Constitution. Conceptually, a writ of certiorari could be issued by a superior court to an inferior court. In Mirajkar, a nine Judge Bench judgment, a judicial order of High Court was challenged as being violative of fundamental right. The Supreme Court by majority held that a judicial order of a competent court could not violate a Fundamental Right. Even if there was incidental violation, it could not be held to be violative of Fundamental Right. Decision of the Supreme Court in Prem Chand Garg vs. Excise Commnr., setting aside rule of the Supreme Court requiring deposit of security for filing a Writ Petition, was also explained as not holding that a judicial order resulted in violation of Fundamental Right. Further, in Rupa Ashok Hurra v. Ashok Hurra it was held that final order of the Court cannot be challenged under Article 32 as violative of Fundamental Right. 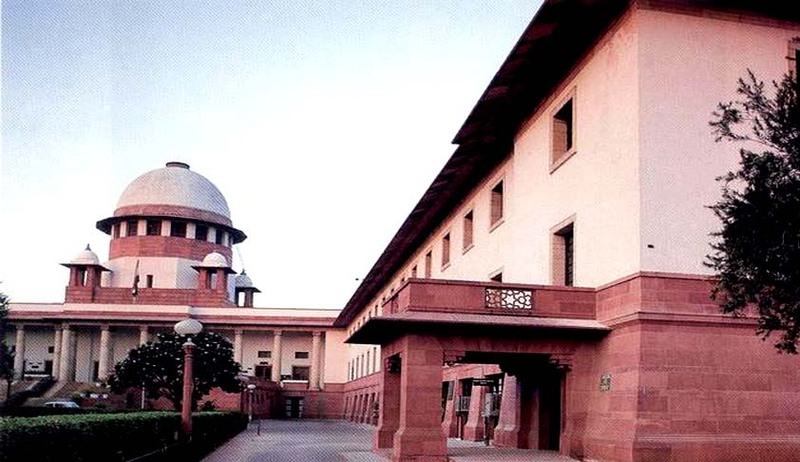 Judgment of the Apex Court in Triveniben vs. State of Gujarat was referred to with approval to the effect that a judicial order could not violate a fundamental right. While the above judgments dealt with the question whether judicial order could violate a fundamental right, it was clearly laid down that challenge to judicial orders could lie by way of appeal or revision or under Article 227 and not by way of a writ under Article 226 and 32. Hence, the Court observed that an Order of civil court could be challenged under Article 227 and not under Article 226.